This book about the missing Divine Feminine in Christianity and Judaism chronicles the personal quest of an Indian woman who grew up with Kali. 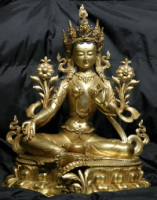 Written from a Hindu/Buddhist Tantric perspective, and as a travelogue, the book describes its author's encounters with the Black Madonna in Europe and Shekhinah in Jewish mysticism. 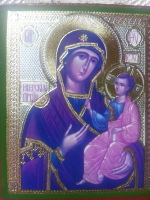 It is also a scholarly account of how the Mother God was erased from the western consciousness leading to a spiritually patriarchal monotheism. In this impressively wide-ranging volume, Neela Saxena takes her readers on a journey across cultures to encounter the figure of the Divine Mother. This journey is intensely personal, while at the same time grounded in historical knowledge that is characterized by both depth and breadth. 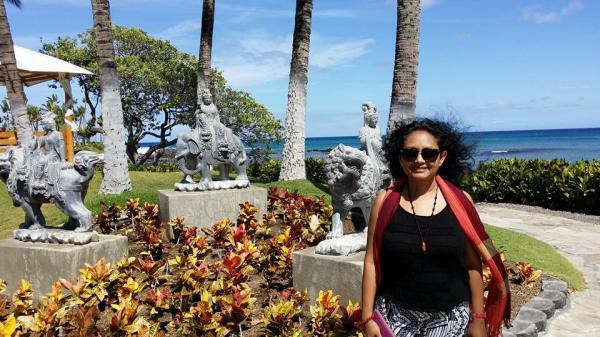 Building on her earlier work on the Hindu Goddess Kali, Saxena deftly handles materials from as far afield as Japan and ancient Greece to create a portrait of a Mother Goddess honored in a wide array of forms and manifestations around the world. Many have argued that our alienation from this Divine Mother in the West has been at the root of an array of cultural maladies on many levels, from the individual to the global. Saxena, however, concludes on a note of hope, and shows us that the absent Mother God of the West is perhaps not so absent after all. This work is a bold and stimulating study on the contested history of the divine feminine in the west. 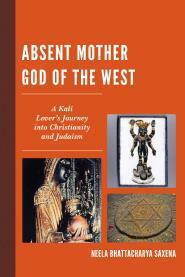 In her journey across continents, Saxena has endeavored to restore one of the most fascinating figures of the feminine archetype in her several incarnations and cultural contexts, whether as the marginalized figure of the Virgin Mary in Christianity, or the mysterious and sublime persona of Shekhinah in Judaism, or the all-pervasive ‘global Mother Kali’ in Hinduism. The book makes a very significant contribution to gender studies and religious history across civilizations, and it will be an eye opener to the modern scholars and seekers of goddess spirituality. — Madhu Khanna, Centre for Comparative Religions and Civilizations, Jamia Millia Islamia.